Having grown up in a Midwestern Jewish family, Jessica Fishman moved to Israel after earning degrees in business and journalism. 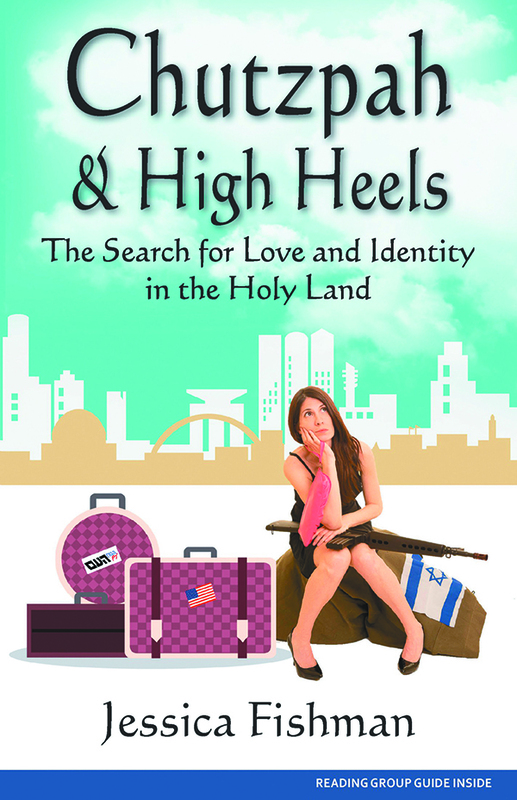 In Chutzpah & High Heels (Yotzeret Publishing), Fishman tells with self-deprecating wit of overcoming many obstacles — including one that tests the core of her identity and the ideology that brought her to Israel. 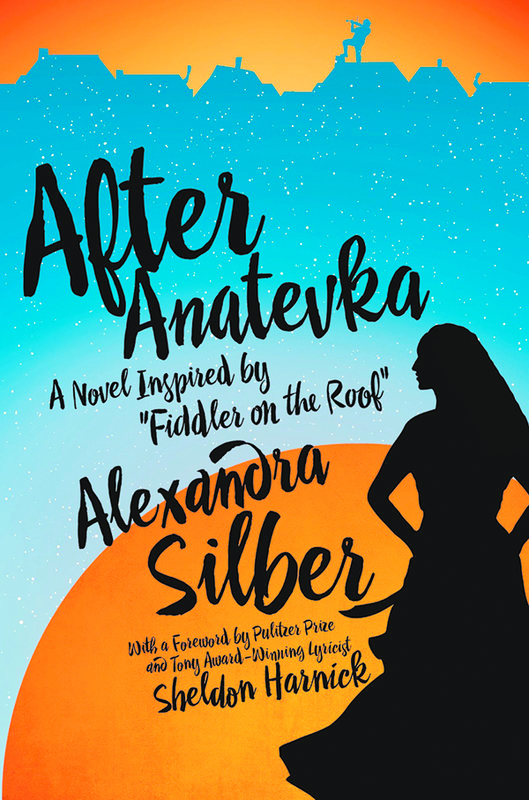 In the sweeping historical novel After Anatevka: A Novel Inspired by “Fiddler on the Roof” (Pegasus Books), actress, singer and author Alexandra Silber imagines what happens to the characters of Fiddler on the Roof after the curtain falls. In the tradition of The Red Tent, David and the Philistine Woman (Top Hat Books; due Aug. 2017) is award-winning documentary filmmaker Paul Boorstin’s inspired reimagining of the ultimate narrative of good triumphing over evil — the clash of David and Goliath. Here, he adds Nara — a blacksmith’s daughter and the Philistine woman in the title — who is betrothed to Goliath because of her remarkable height and strength, and whose fate collides with David’s destiny. 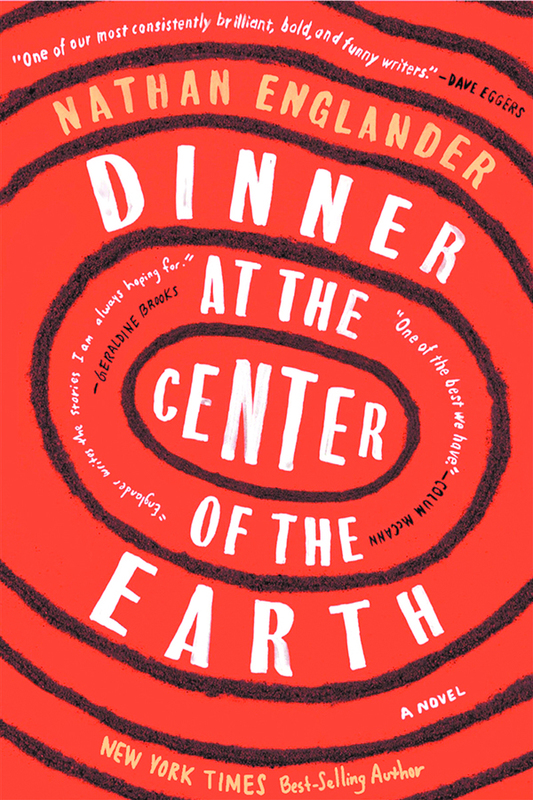 Pulitzer finalist and New York Times best-selling author Nathan Englander has written what some are calling his best work yet: Dinner at the Center of the Earth (Deckle Edge; due Sept. 2017). In it, Englander weaves together a handful of vastly different lives — a prisoner in a secret cell, the guard who’s watched him for years, Israel’s most controversial leader who lies dying in a hospital, the only person who knows of the prisoner’s existence. It’s a political thriller that interrogates the anguished division between Israelis and Palestinians. 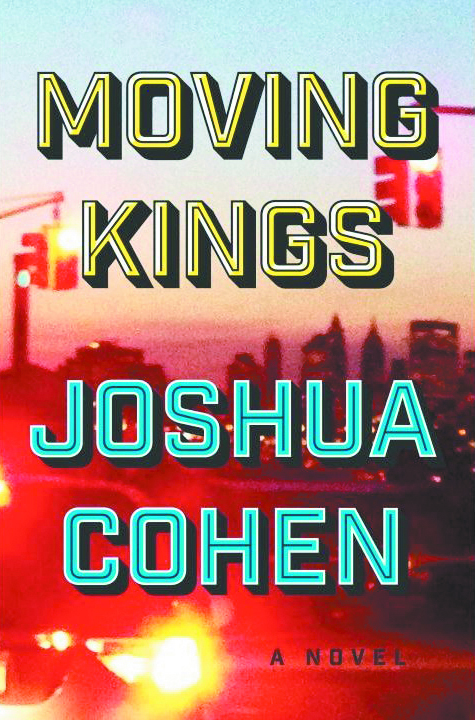 Joshua Cohen, called by the New York Times “a major American writer,” weaves together the housing crises in America’s poor black and Hispanic neighborhoods with the world’s oldest conflict in the Middle East. But the story in Moving Kings (Random House; due July 2017), about faith, race, class and what it means to have a home, is told in a profoundly intimate way. A single work of art — a painting by Chaim Soutine, a Jewish artist who died in France while hiding from the Nazis — connects the lives of two very different women separated by generations but struggling with the same demons. 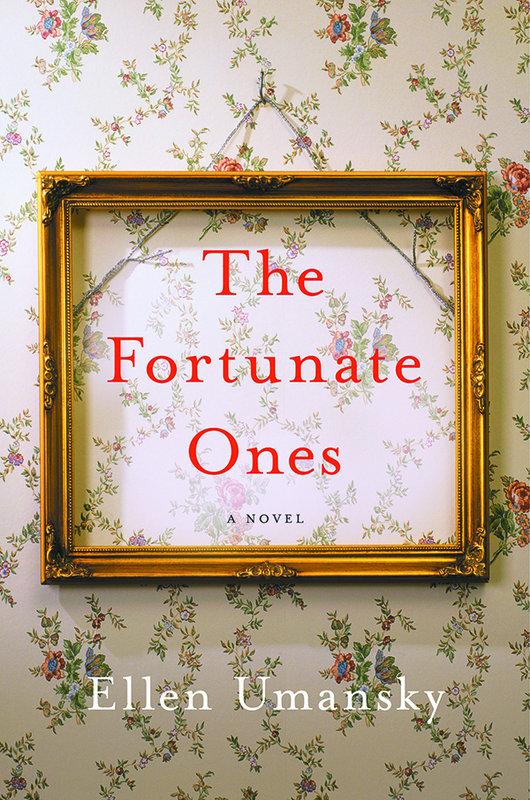 In The Fortunate Ones (William Morrow), Ellen Umansky reveals a haunting story based on historical fact. 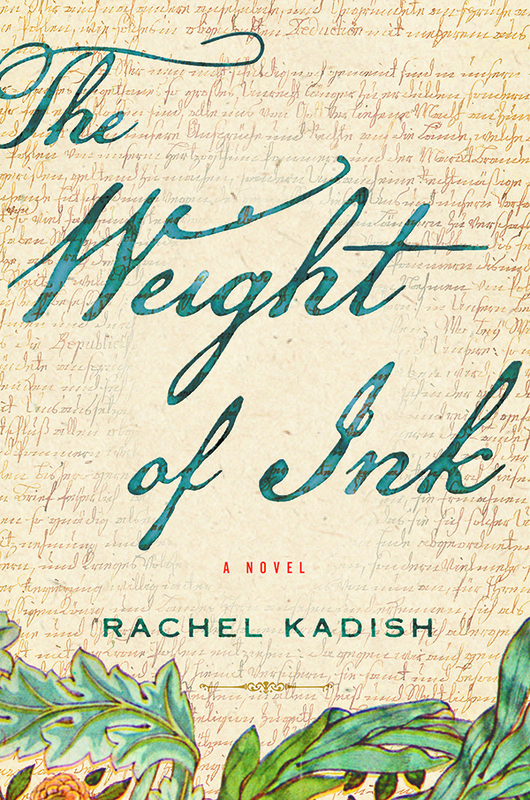 The Weight of Ink (Houghton Mifflin Harcourt) tells the story of two remarkable women separated by centuries: one an emigrant from Amsterdam who is permitted to scribe for a blind rabbi, just before the plague hits the city; the other an ailing historian with a love of Jewish history. In many ways, author Rachel Kadish has written a book about books. A week before Stalin’s death, his final pogrom in full swing, three government officials attempt to arrest an actor, now an old man, which sets in motion a series of zany and deadly events. 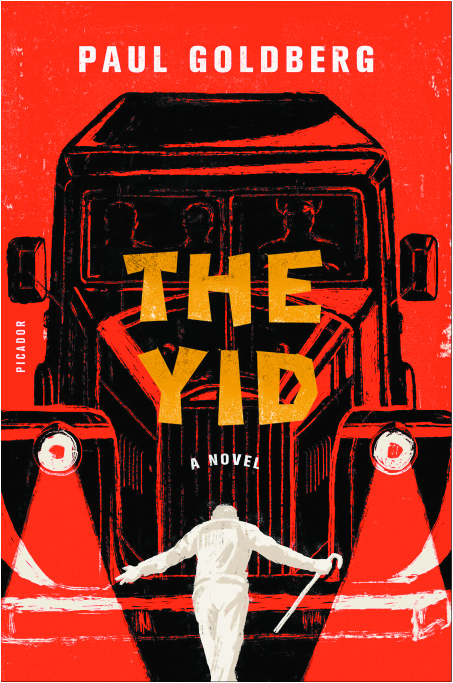 The award-winning The Yid (MacMillan), by reporter Paul Goldberg, tells a tale that is hilarious, moving, intellectual and violent — with historical figures such as Paul Robeson and Marc Chagall wandering through the narrative — a tragicomic piece of historical fiction. 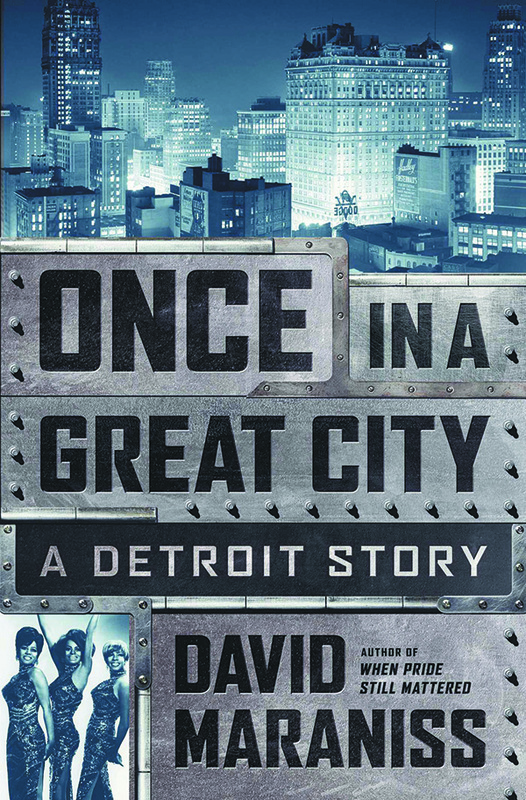 Detroit in 1963, then enjoying many successes, is at the heart of Once in a Great City: A Detroit Story (Simon & Schuster). Author David Maraniss, who grew up in a primarily Jewish neighborhood in Detroit, at Dexter, attended Winterhalter Elementary School until he was 7 and his family left Michigan. The city’s complicated time before its pinnacle in 1963 and its decline afterward are traced to the period highlighted. Maraniss, a Pulitzer Prize-winning associate editor at The Washington Post, explains why Detroit at its peak was threatened by its own design. In 1929, non-Jewish French journalist Albert Londres set out to document the lives of Jews at this time. 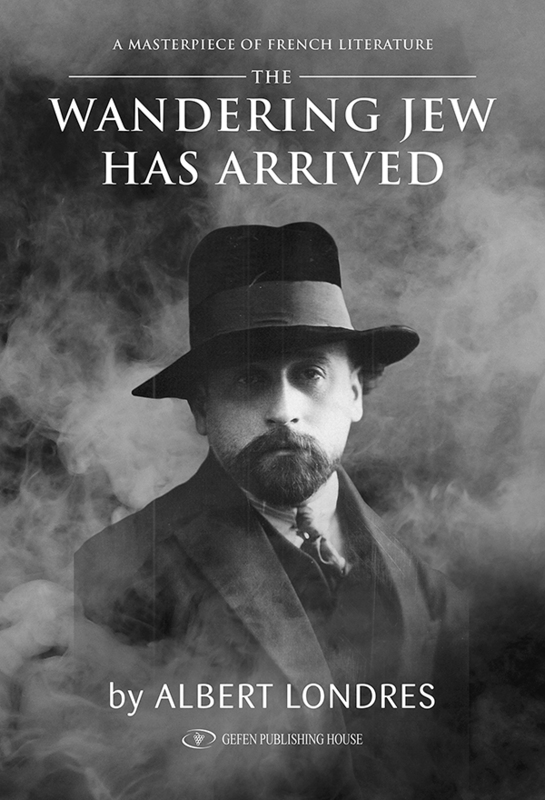 His travels to England, Eastern Europe and Palestine resulted in a book, now translated to English: The Wandering Jew Has Arrived (Gefen Publishing House). Moved by the unswerving faith of the Jews, the misery and plight he witnessed, Londres redeems the bleak picture with his gentle humor and unforgettable portraits of people he met along the way. He depicts the birth of Zionism and the wave of pogroms, and provides insight into how the Holocaust could happen, all on a very personal level. 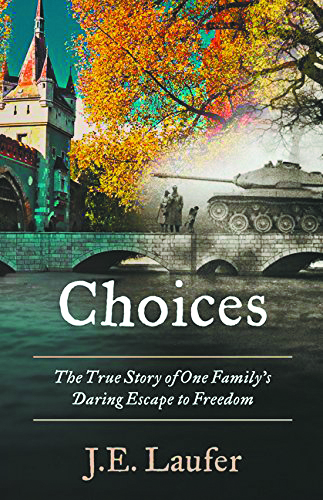 A young adult book, Choices: The True Story of One Family’s Daring Escape to Freedom (Little Egg Publishing Company) has J.E. Laufer telling about two overwhelming experiences — first escaping the Nazis and later fleeing the Hungarian Revolution. 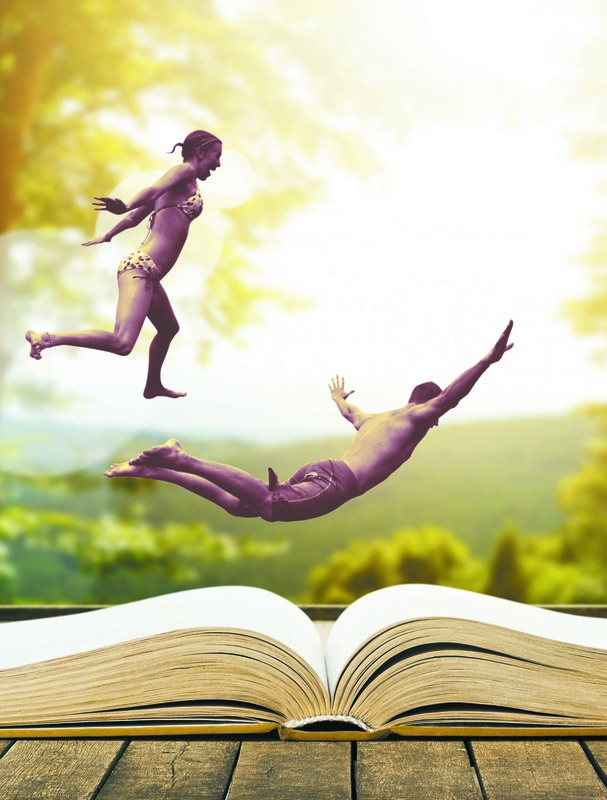 This fictionalized account calls attention to a teenage Christian girl who aided the family’s escape and emphasizes how one person can make a significant difference. 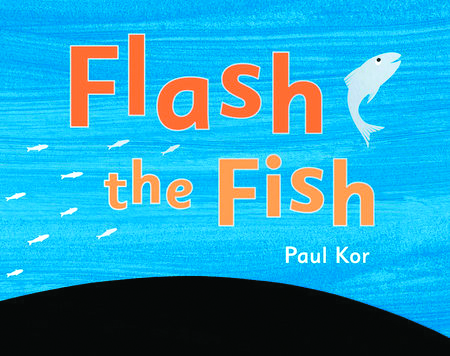 Israeli author and illustrator Paul Kor, who had to leave France for Switzerland because of anti-German graffiti he drew, tells the story of Flash the Fish (Dial Books for Young Readers). In the children’s picture book — originally published in 1990, when it won the Ben-Yitzhak Illustration Prize from the Youth Wing of the Israel Museum — a young silver fish enlists family members to help a lost baby whale find her mama and papa. “Feet, what do I need you for when I have wings to fly?” — Surrealist artist Frida Kahlo. “A clear and innocent conscience fears nothing.” — Queen Elizabeth I. “Above all, don’t fear difficult moments. The best comes from them.” — scientist Rita Levi Montalcini. “I dissent.” — U.S. Supreme Court Justice Ruth Bader Ginsburg. In Good Night Stories for Rebel Girls (Timbuktu Labs), Elena Favilli and Francesca Cavallo feature 100 stories, with glorious illustrations, of inspiring women throughout history (without the help of a prince). A boxer, ballerinas, athletes, activists, first ladies and more tell true stories of remarkable girl power. And this month, a Kickstarter went live to help fund Volume 2 plus the first season of the books’ accompanying podcast. Motti’s older brother, Gideon, is only 19 — the same age as Israel. He knows war is coming and wishes he could join the army like Gideon. But when his best friend’s family flees the country and his brother goes off to fight, Motti realizes this war isn’t a game. 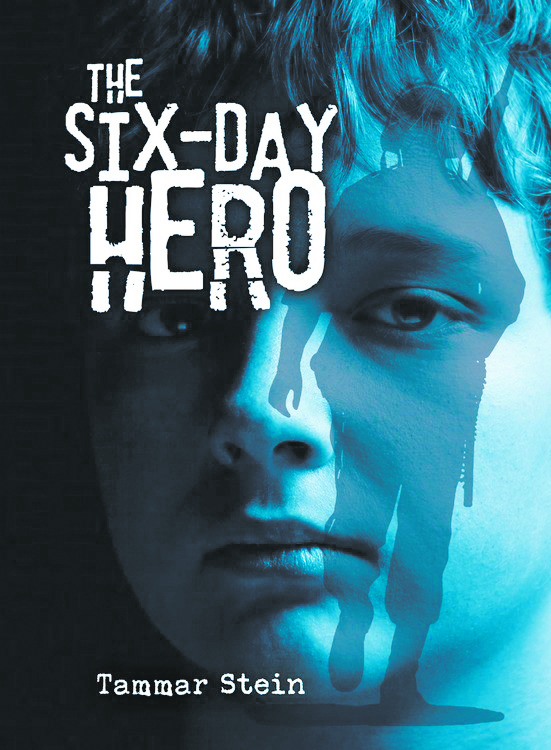 In The Six-Day Hero (Kar-Ben), by Tammar Stein, Motti finds hope in a kind Ethiopian priest, the young Germans who come to offer help, his father’s childhood friend from Jordan and in his grouchy neighbor, Mrs. Friedburg. 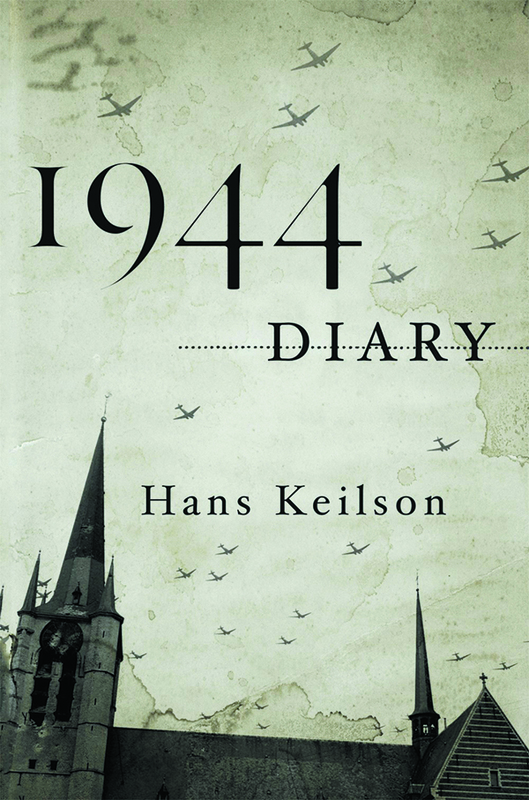 In 1944 Diary (Farrar, Straus and Giroux), maintained by Hans Keilson, readers learn about a man in hiding from the Nazis and living in a Dutch city. The diary was discovered in 2011, after Keilson died at the age of 101, and tells about this author who wrote two novels, Comedy in a Minor Key and The Death of an Adversary. The diary is a document of survival as well as moral and artistic struggles. Alexander Rucki, the son of a Holocaust survivor, uses a narrative approach in this slim volume to tell how his mother established a new life in Australia. In A Story of Hope: A Holocaust Story (Balboa Press), he also profiles the life of L.L. Zamenof, who suffered the loss of three children to the Nazis and went on to promote the development of Esperanto as a unifying language. 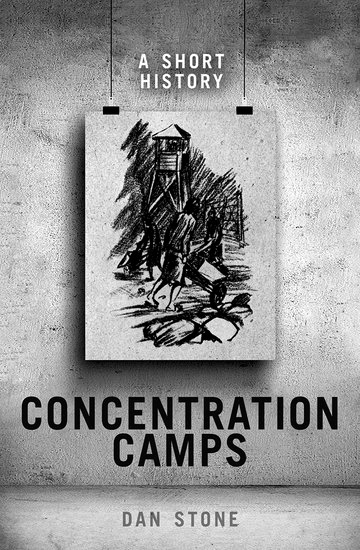 Dan Stone, professor of modern history at Royal Holloway, University of London, presents A Short History: Concentration Camps (Oxford University Press). Also the director of the Holocaust Research Centre at the university, he delves into the brutality that has existed beyond the Holocaust and started in the 20th century. Beyond exploring the impact of the people who suffered directly, the book delves into lasting effects on consciousness and identity. 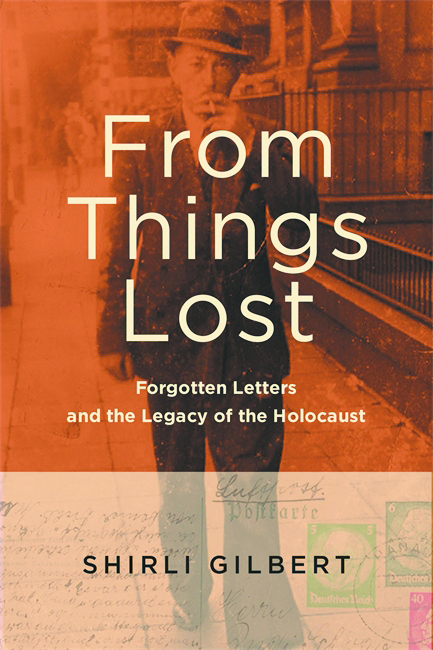 From Things Lost: Forgotten Letters and the Legacy of the Holocaust (Wayne State University Press) by Shirli Gilbert tells about Rudolf Schwab, who fled Germany at 1933 at the insistence of a close friend who later joined the Nazis. 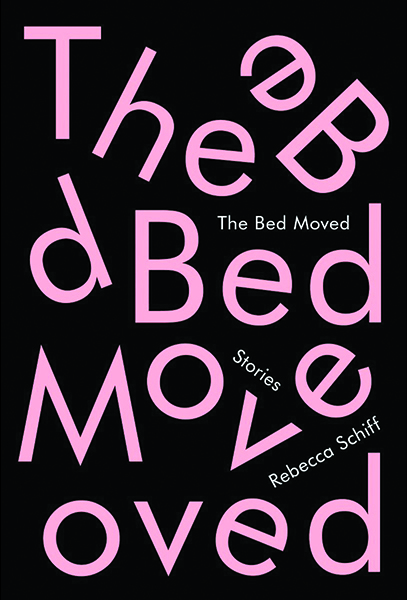 In South Africa and many years later, Schwab resumes the relationship through correspondence and unravels an unlikely friendship. Hell’s Traces: One Murder, Two Families, Thirty-Five Holocaust Memorials (FSG) was written by Victor Ripp more than seven decades after his family’s migration to America from Nazi-occupied Paris when he was only an infant. At the same time Ripp’s family left, his father’s side remained behind in Europe, including his 3-year-old cousin Alexandre, who was killed in Auschwitz just two months later. In the book, Ripp recounts a recent journey to visit more than 30 of Europe’s Holocaust memorials in an effort to better understand Alexandre’s — and his family’s — story. Laurence Rees, the writer and producer of the BBC/PBS series World War II: Behind Closed Doors, spent 25 years meeting survivors and perpetrators of the Third Reich and the Holocaust. The Holocaust: A New History (PublicAffairs) is his readable and compelling story of how and why the Holocaust happened. Although he had only published a single volume of poetry, Hayim Nahman Bialik was considered the National Hebrew Poet by the time he was 28. In Hayim Nahman Bialik: Poet of Hebrew (Yale University Press), Avner Holtzman tells how the poet’s deeply personal writings established a profound link between the secular and the traditional that would become paramount to a national Jewish identity in the 20th century. 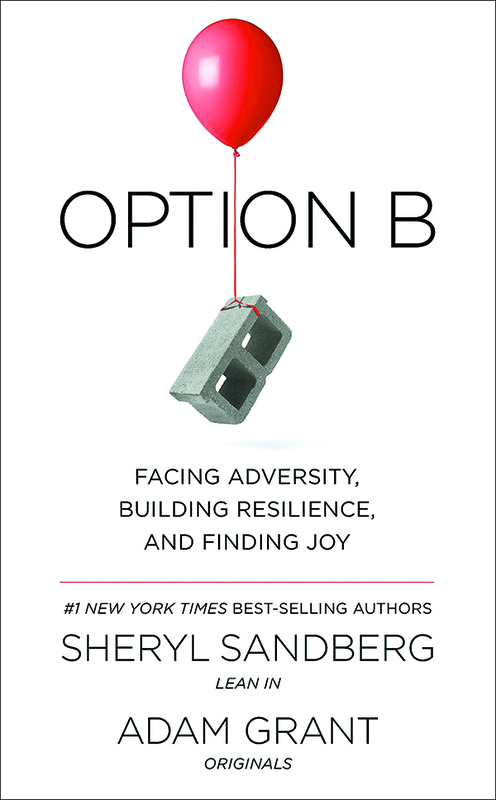 Sheryl Sandberg, chief operating officer at Facebook, explains how she adjusted to the death of her husband in Option B: Facing Adversity, Building Resilience, and Finding Joy (Knopf). Her cowriter, Adam Grant, a Wharton psychology professor from Michigan, offers research into finding inner strength and enhances the personal revelations. Born in the Land of Israel around the year 50 C.E., Rabbi Akiva is considered the greatest rabbi of his time and one of the most important influences on Judaism as we know it today. In Rabbi Akiva: Sage of the Talmud (Yale University Press), award-winning author Barry Holtz tells Rabbi Akiva’s story of being raised in poverty, unschooled in religious tradition and learning the Torah as an adult. George Prochnik retraces the life of Kabbalist scholar and self-described “religious anarchist” Gershom Scholem in Stranger in a Strange Land: Searching for Gershom Scholem and Jerusalem (Other Press). The journey moves from Berlin to Israel and from socialism to Zionism and has the author exploring his own path. The book raises questions about spirituality, exile and Israel. Emmy Award-winner Andy Cohen, executive producer of the Real Housewives franchise, has written two New York Times bestsellers. His new book, Superficial: More Adventures from the Andy Cohen Diaries (Henry Holt), picks up where The Andy Cohen Diaries left off — featuring the bon vivant days and nights of Cohen’s bold-faced world of parties, behind-the-scenes TV drama, gossip sessions, celebrity encounters (and affronts) plus a fair dose of touching introspection. 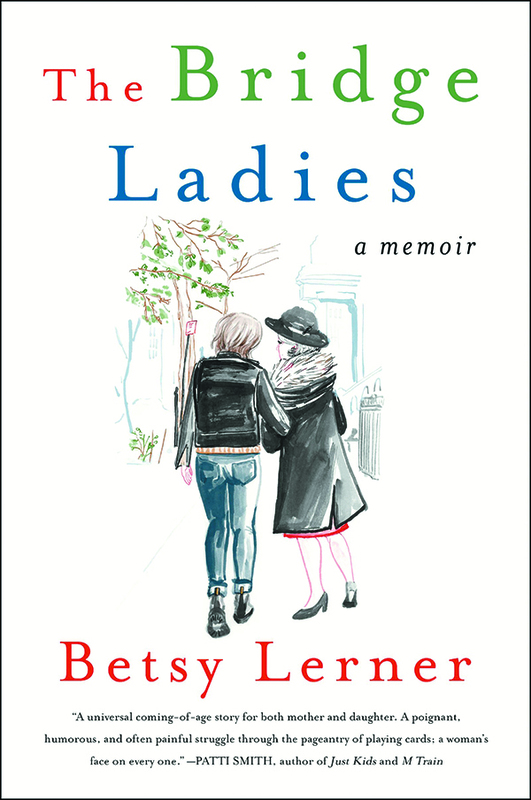 The women who played cards with Betsy Lerner’s mother were part of her growing-up years. She didn’t really know them well until she started playing bridge herself. In The Bridge Ladies: A Memoir (Harper Perennial), the author tells about gaining insights into others and cross-generational relationships as she gains proficiency in a game that comes to be a metaphor for life. Russian émigré Irene Nemirovsky built a brilliant career as a novelist in 1930s Paris, breaking into a world dominated by men. In 1942, while working on her unpublished masterpiece, she was arrested as a “foreign Jew” and deported to Auschwitz, where she died, her husband following soon after. Their two daughters survived, though, and have worked to bring their mother back to life. 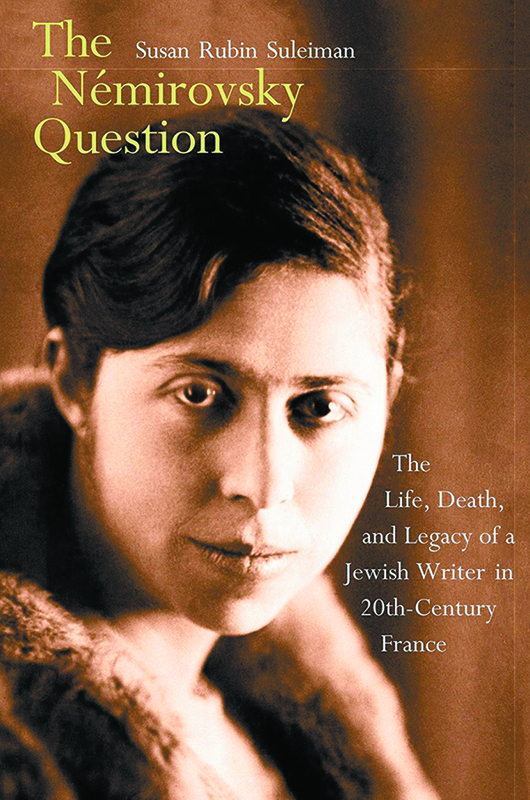 In The Nemirovsky Question: The Life, Death, and Legacy of a Jewish Writer in 20th-Century France (Yale University Press), author Susan Rubin Suleiman discusses her reputation as a self-hating Jew, her efforts to save herself from deportation, her conversion to Catholicism and her hopes for Suite Francaise, which her daughters had published in 2004. The life and influence of Israel’s first native-born prime minister is told in Yitzhak Rabin: Soldier, Leader, Statesman (Yale University Press). Author Itamar Rabinovich served as Israel’s ambassador to Washington during the 1990s and was one of Rabin’s closest aides during the Oslo peace process. He provides new insight into Rabin’s relationships with Bill Clinton, King Hussein, Henry Kissinger and more, illuminating his passions and plans that shaped his tenure and that followed his assassination. 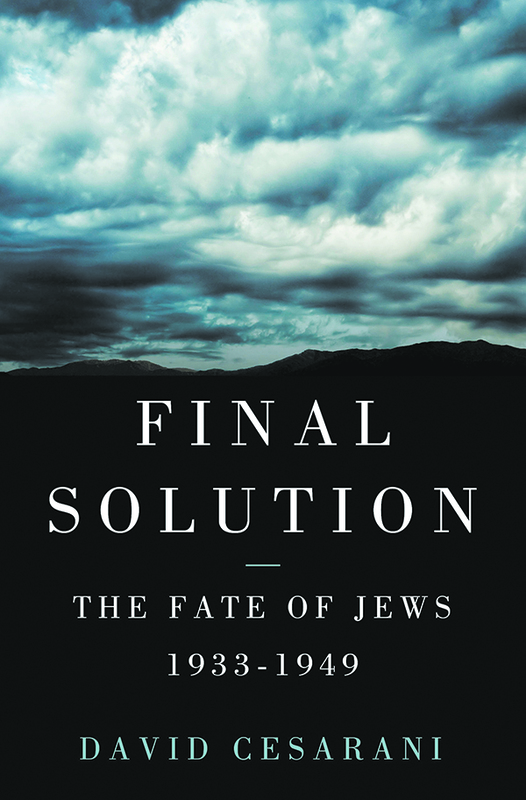 Before his death in 2015, Holocaust chronicler David Cesarani just completed Final Solution: The Fate of the Jews 1933-1949 (St. Martin’s Press). Based on decades of scholarship, newly available documentation, diaries written in camps and more, the book puts forth Cesarani’s idea that the persecution of the Jews was not always the Nazis’ central preoccupation, nor was it inevitable. Originally published in Hebrew in 2010, Jewish Magic Before the Rise of Kabbalah (Wayne State University Press) by Yuval Harari discusses the essence of magic in general and Jewish magic in particular. 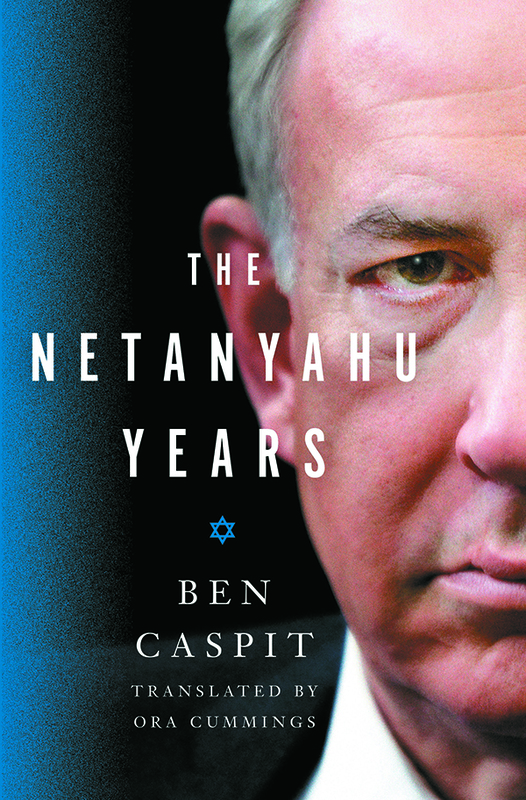 An analysis of the outlook shown by Israeli Prime Minister Benjamin Netanyahu is offered by Israeli journalist Ben Caspit in The Netanyahu Years (St. Martin’s Press; due out July 2017). The leader’s policies, struggles and fight against the Iranian nuclear program are examined along with relationships established in communications with American leaders and experiences with American Jews. From drones to satellites, missile defense systems to cyber warfare, Israel is at the forefront of both new technology and ways to implement them in hostile situations. 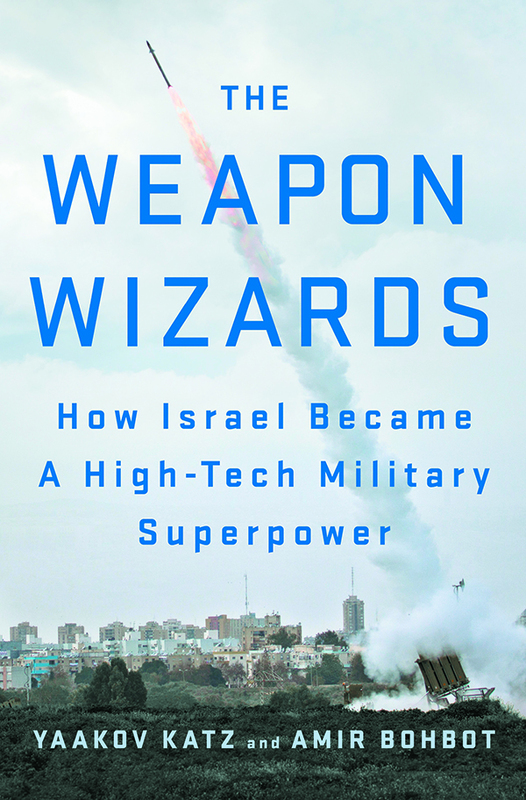 In The Weapon Wizards: How Israel Became a High-Tech Military Superpower (St. Martin’s Press), Yaakov Katz, editor-in-chief of the Jerusalem Post and lecturer at Harvard University’s Extension School, takes readers inside the story of how Israel has succeeded in inventing, developing and manufacturing the most sophisticated arms in the world today. What if the Exodus had never happened? What if the Jews of Spain had not been expelled in 1492? What if a Jewish state had been established in Uganda instead of Palestine? What Ifs of Jewish History: From Abraham to Zionism (Cambridge University Press), a pioneering anthology of essays by 16 distinguished scholars in Jewish studies edited by Gavriel D. Rosenfeld, covers 3,000 years of dramatic events and invites readers to indulge their imaginations. Suzanne Chessler, Jeffrey Hermann and Lynne Konstantin contributed to this story.